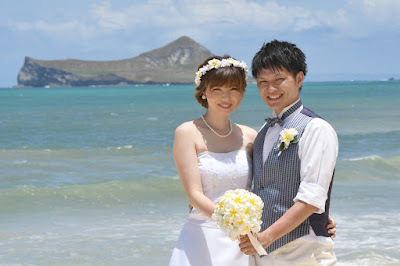 Gorgeous Windward Oahu photo with Yuta and Taeko on their Waimanalo Honeymoon. 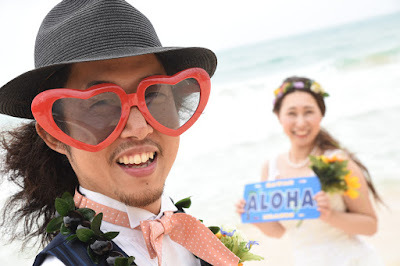 Love those funky shades! Fun honeymoon photos with Daisuke and Asayo at Waimanalo Beach with Oahu Photographer Robert Hamilton. Greetings from Oahu, wishing you all the best! 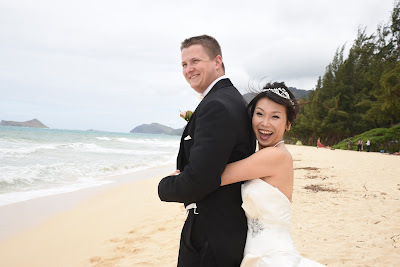 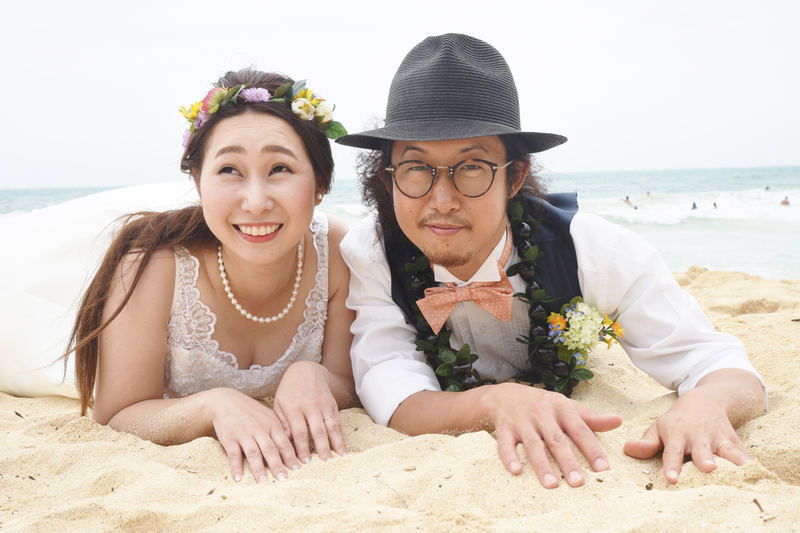 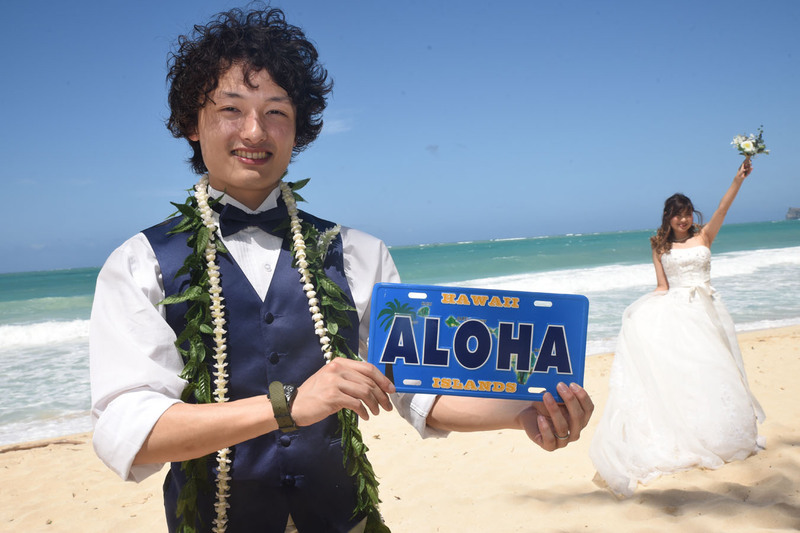 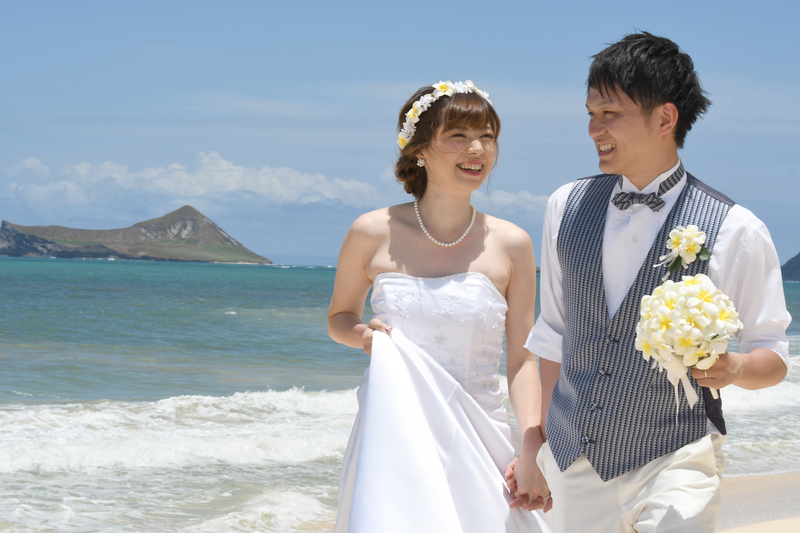 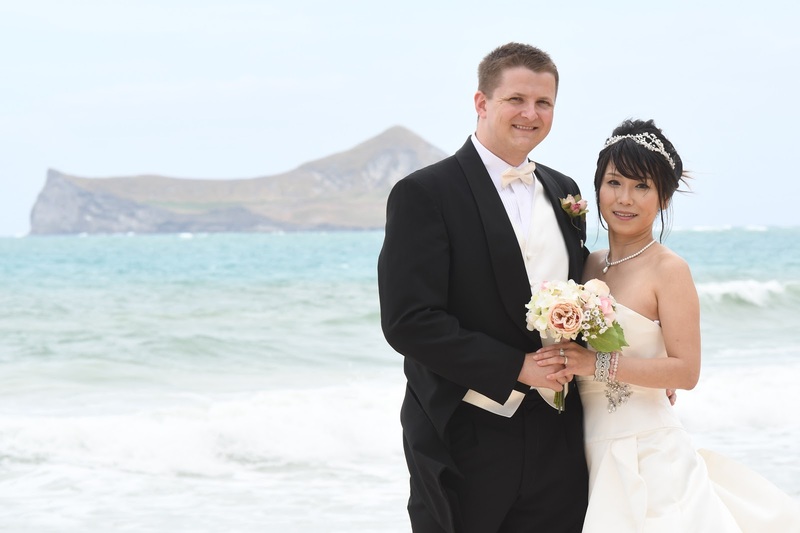 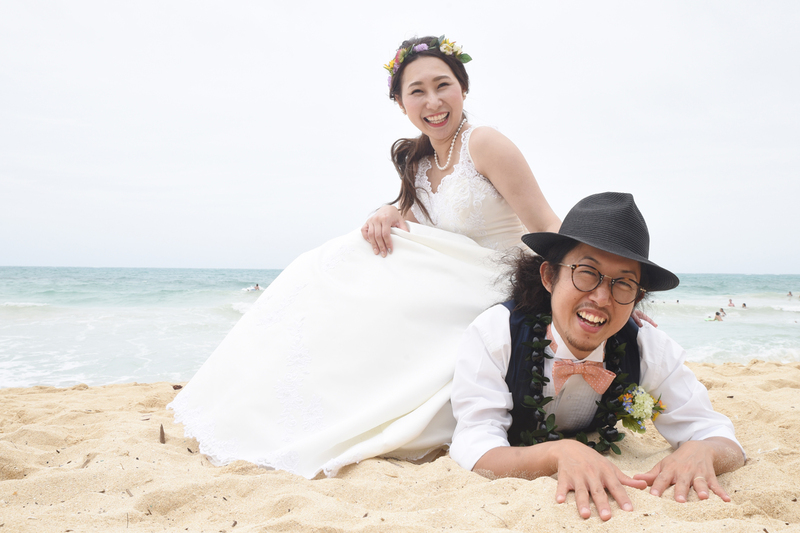 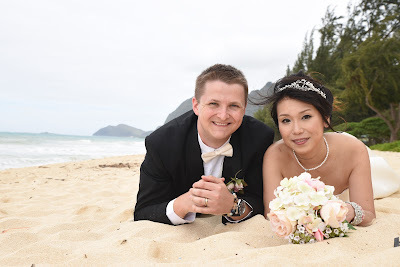 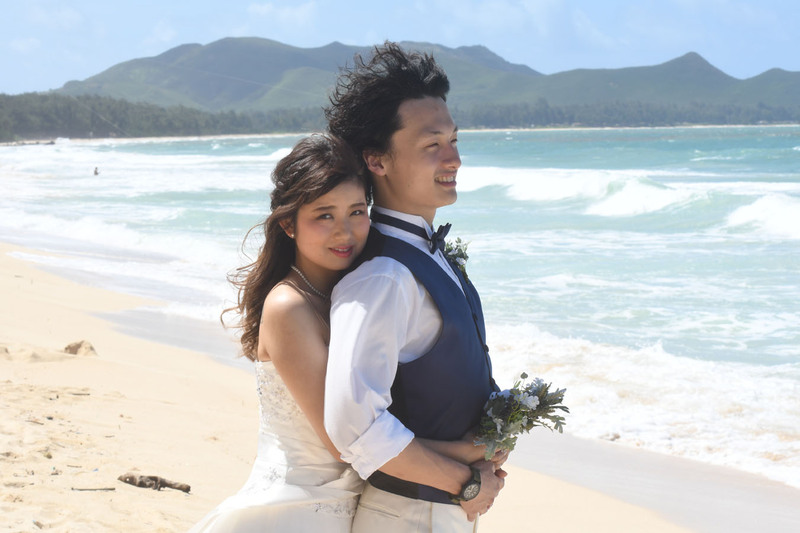 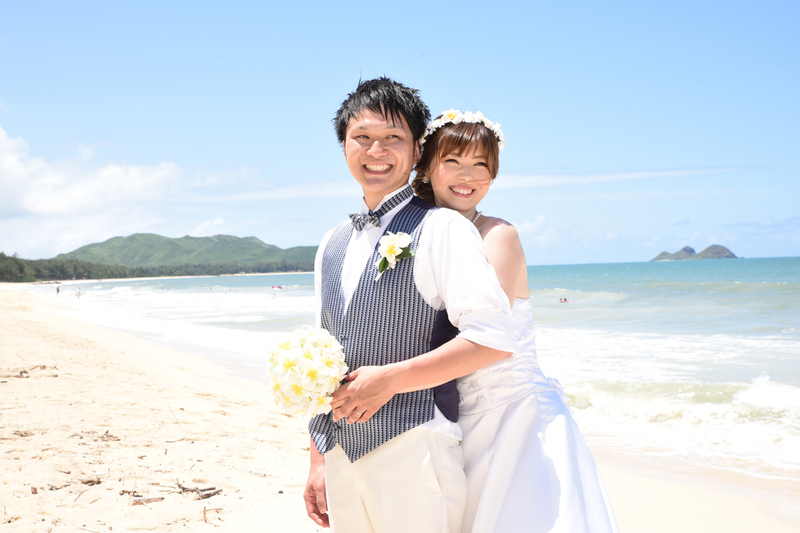 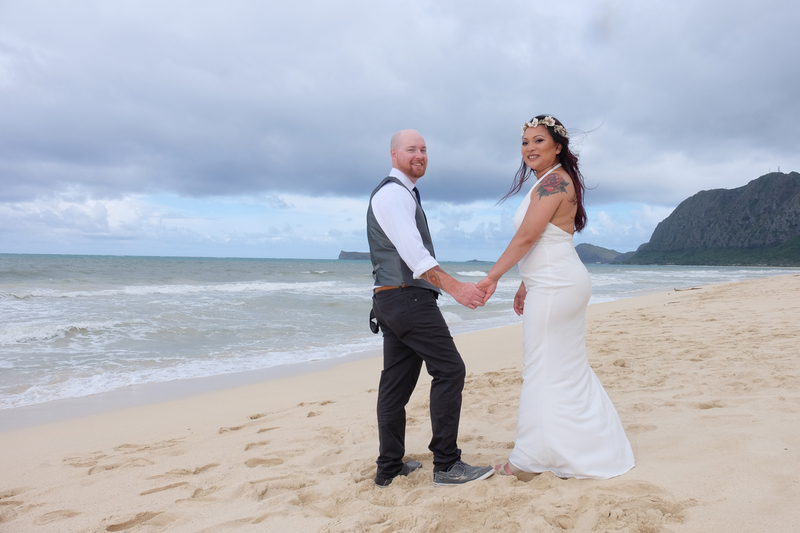 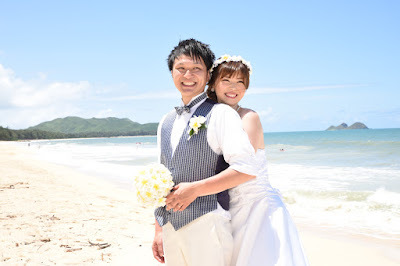 Justin and Yukiko celebrate their marriage with Hawaii wedding photos at Waimanalo Beach. 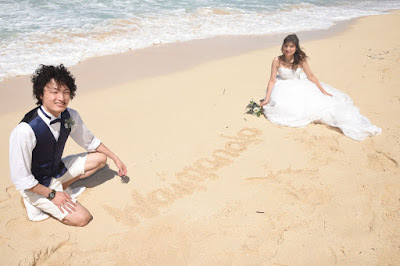 Beautiful romantic photos! 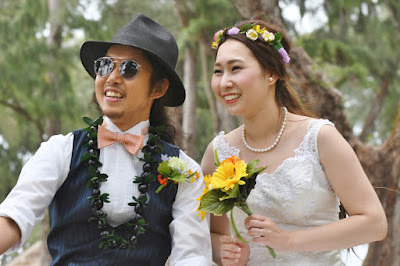 Thank you Photographer Robert. 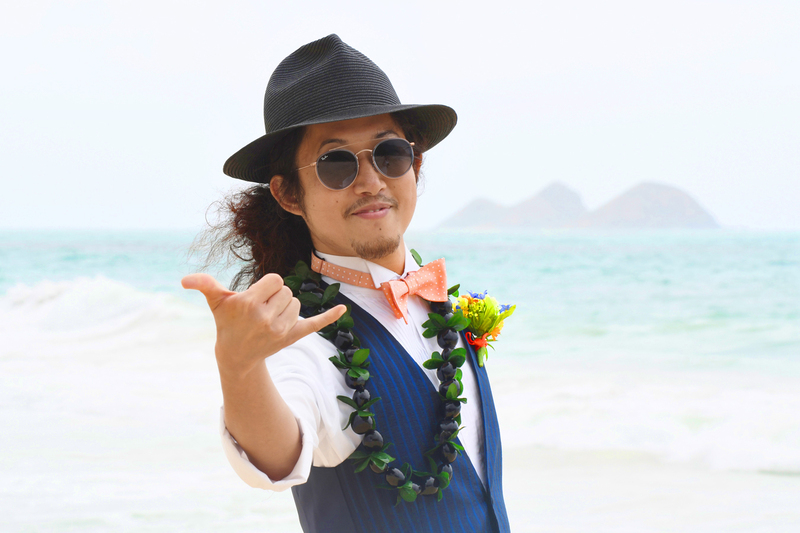 Hiroki is the "life of the party". Couple having a good time at Waimanalo Beach Honeymoon. 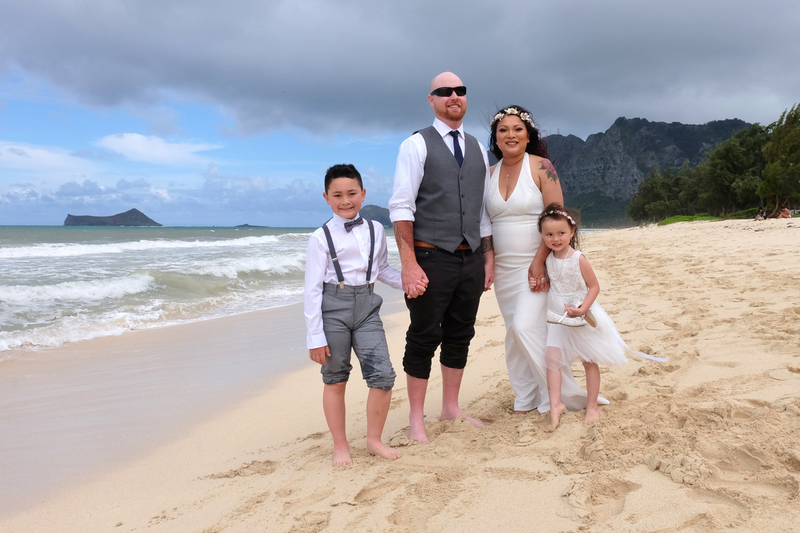 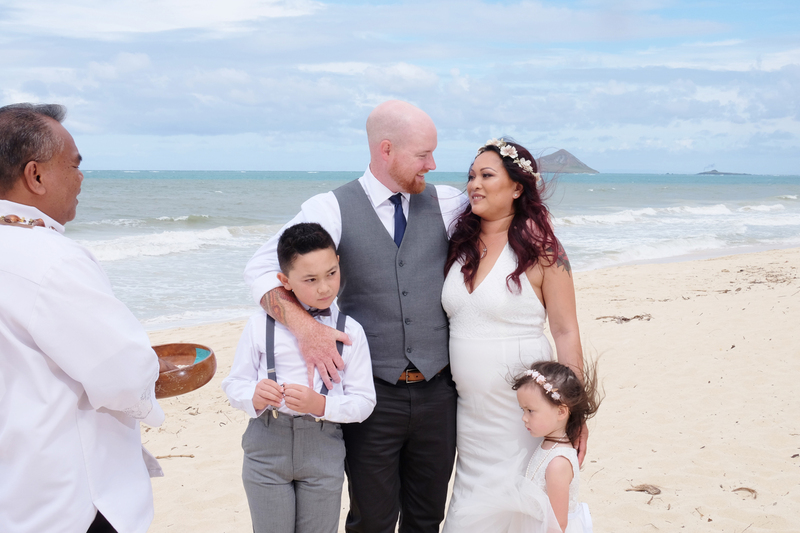 John and Churee renew their wedding vows at Waimanalo Bay with son and daughter. Rev. 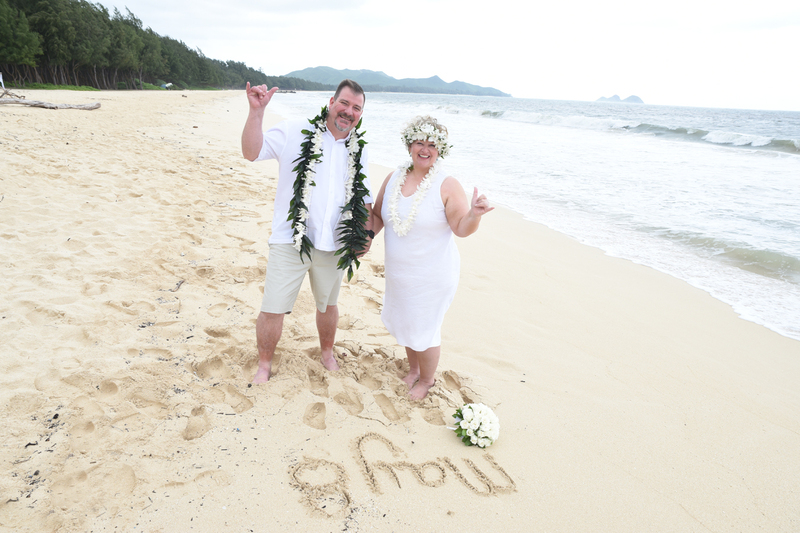 Rosemary Hill officiates their wedding at Waimanalo on May 8 with Brent and Laura.